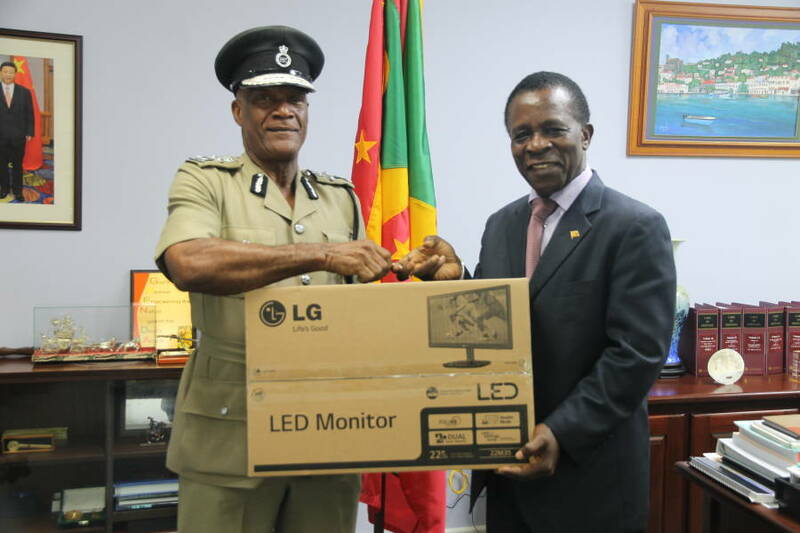 Prime Minister Dr the Right Hon Keith Mitchell, on Friday, 13 March, handed over 20 desktop computers to the Commissioner of Police, Mr Winston James. 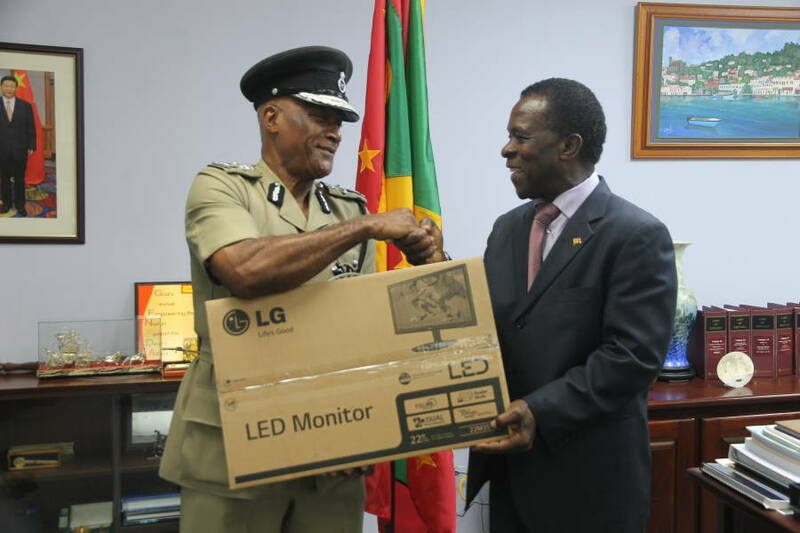 In receiving the donation, Commissioner James expressed his gratitude on behalf of the Royal Grenada Police Force, stating that the computers “would go a long way in aiding the administrative and technological functions of the Force.” The Commissioner promised that all the departments under the RGPF will receive at least one. The computers were a donation secured by the Minister of National Security, Dr Keith Mitchell, and sourced by Permanent Representative to the United Nations, Ambassador Denis Antoine.